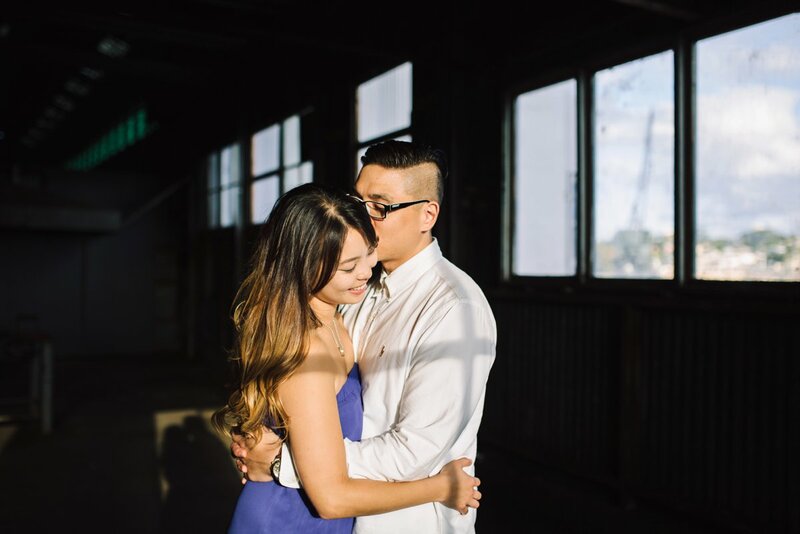 A bit of a blast from the past this post. 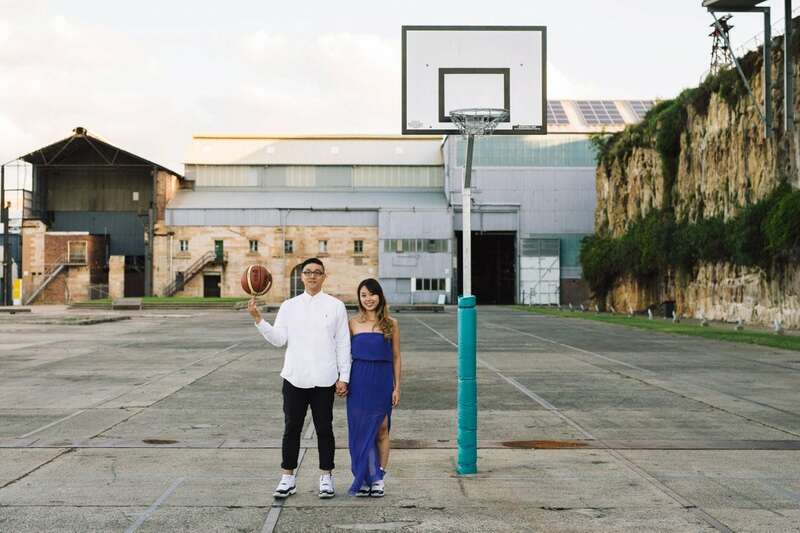 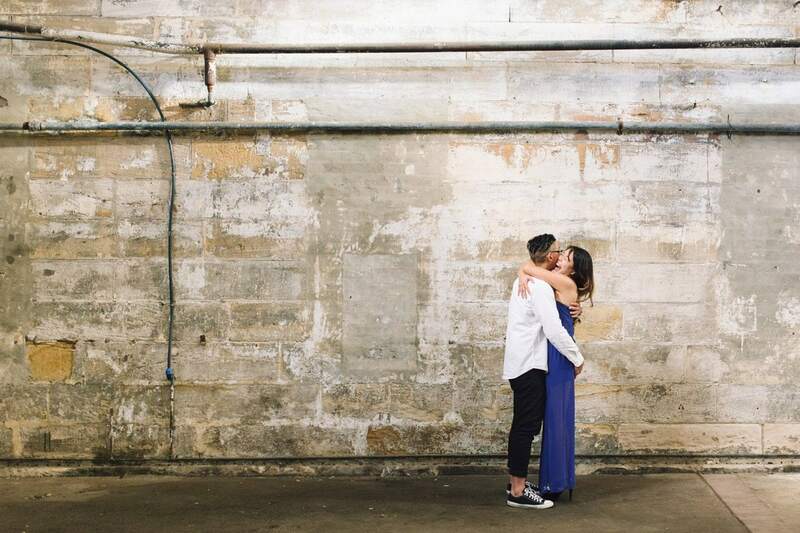 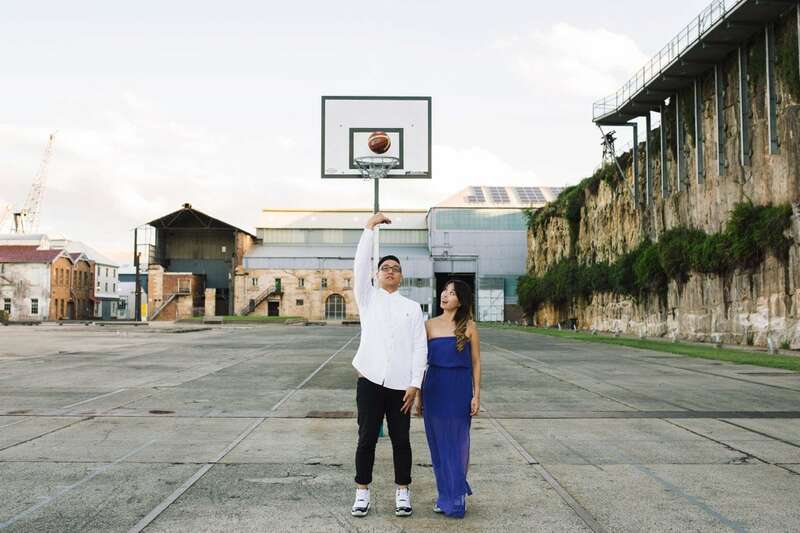 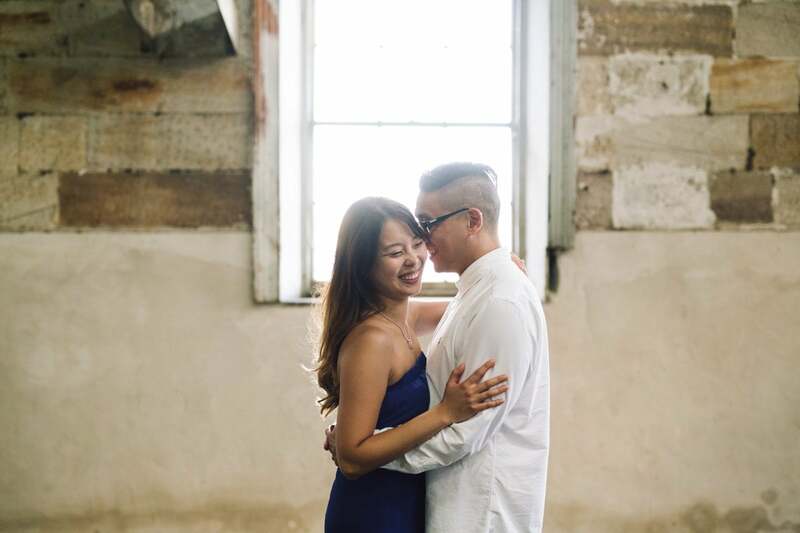 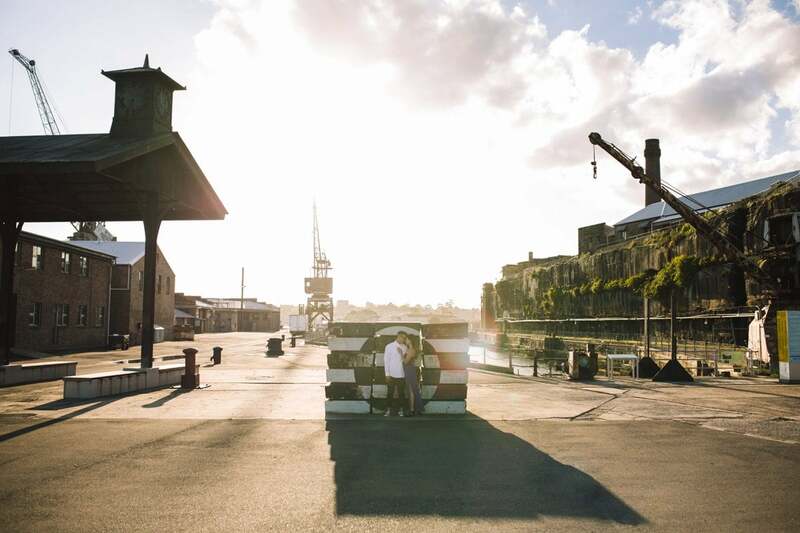 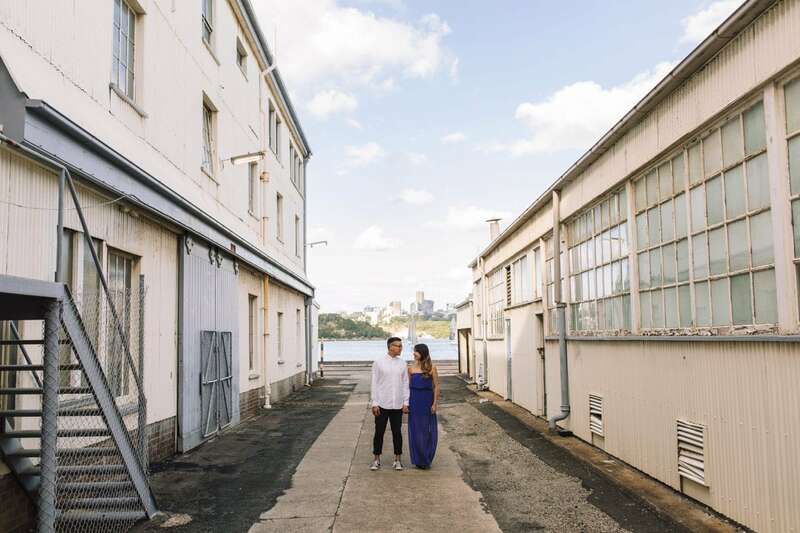 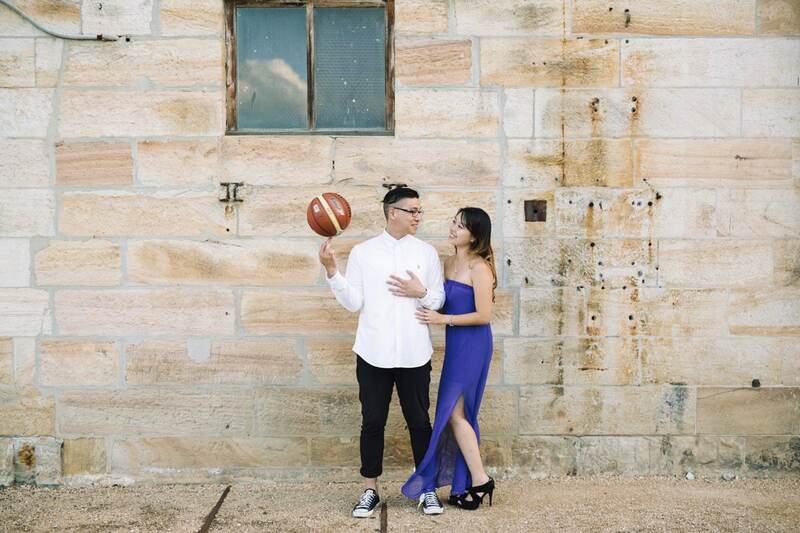 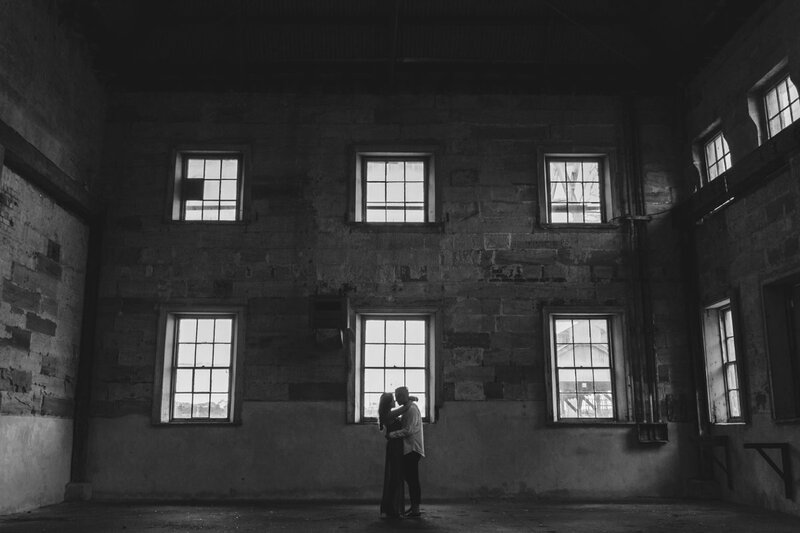 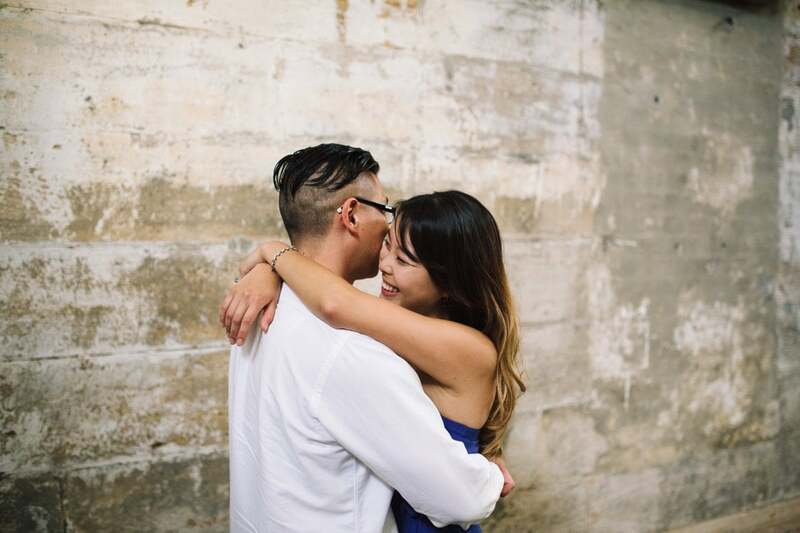 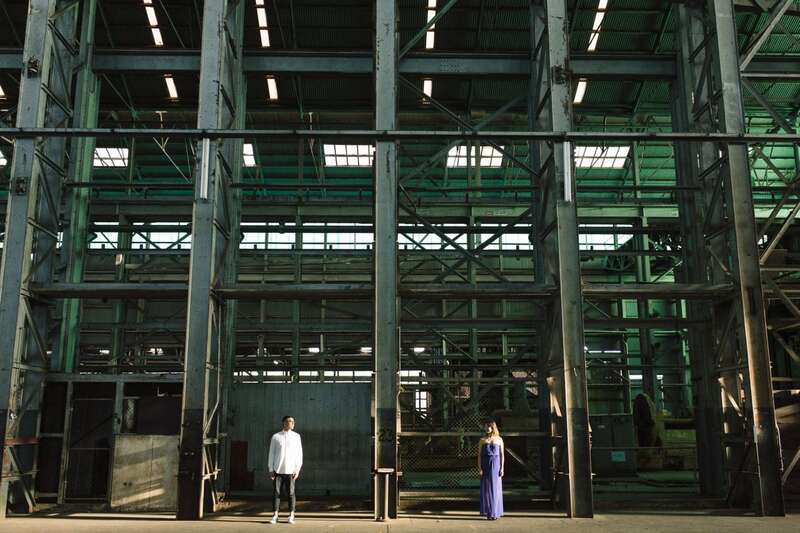 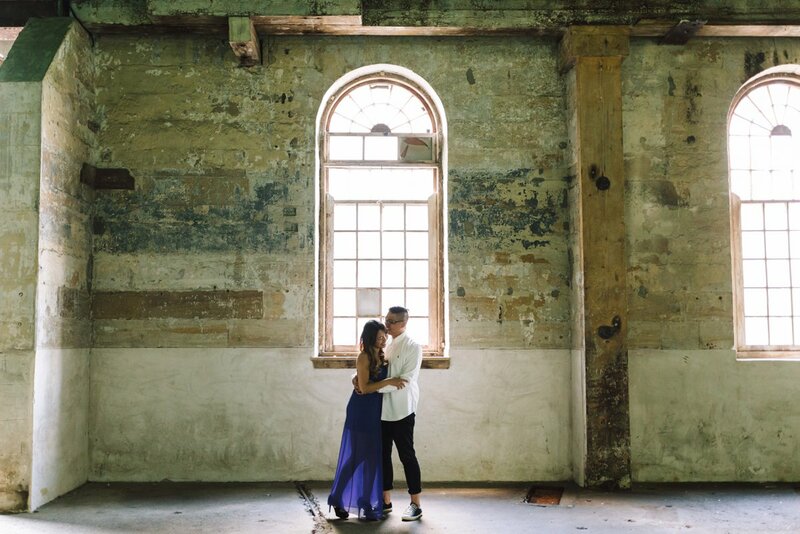 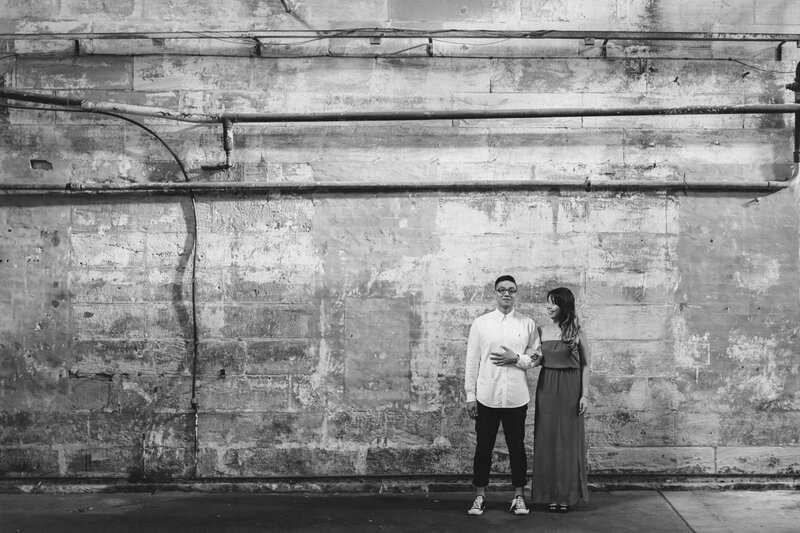 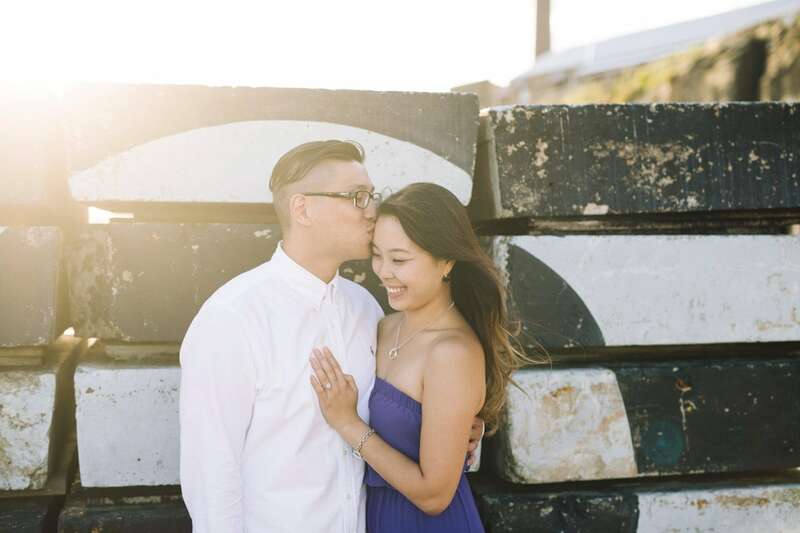 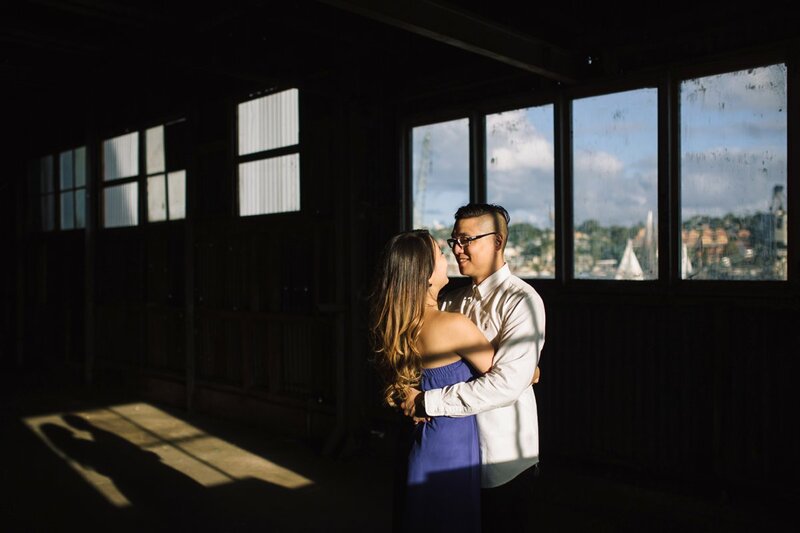 I shot this Cockatoo Island Engagement in early 2015 with Pauline & Dru and had not shared it yet (I did share their wedding tho!). 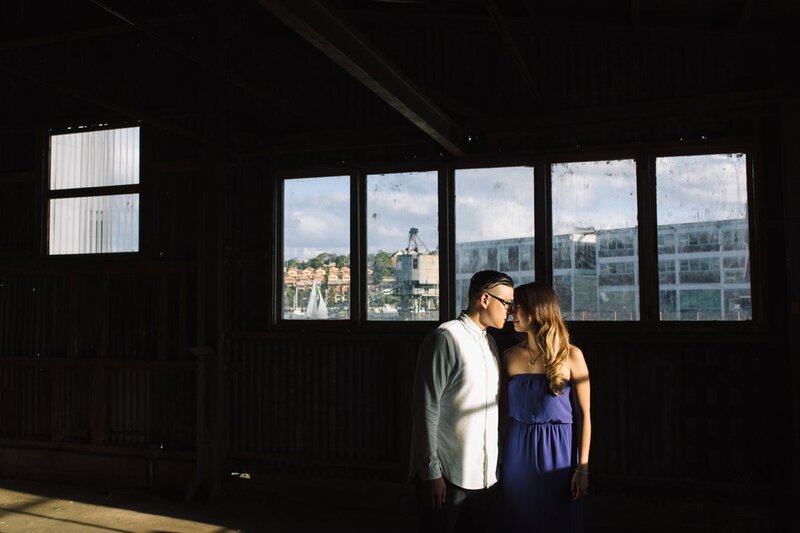 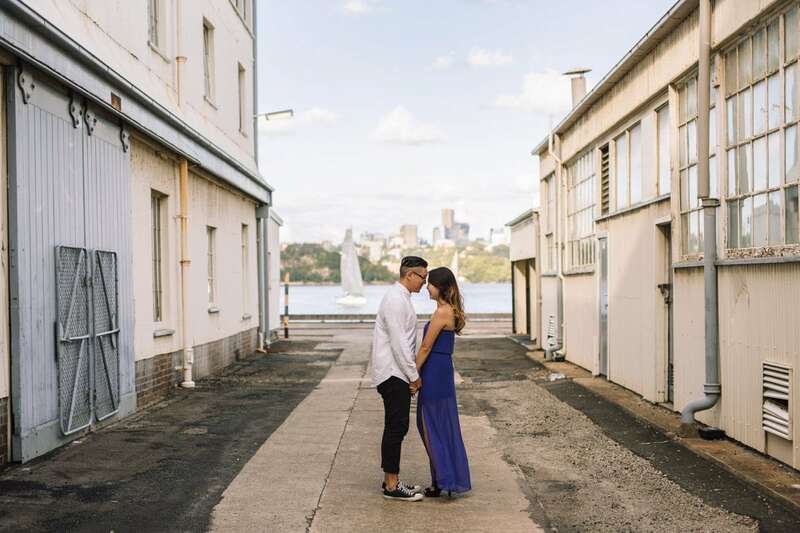 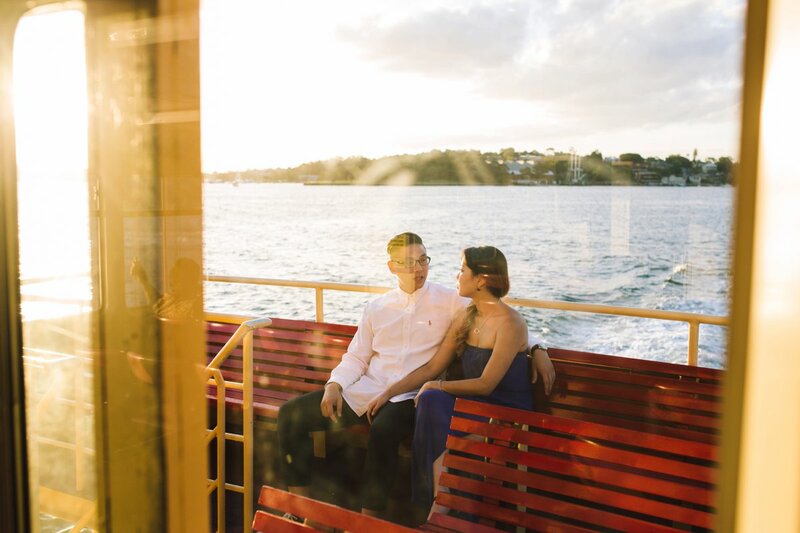 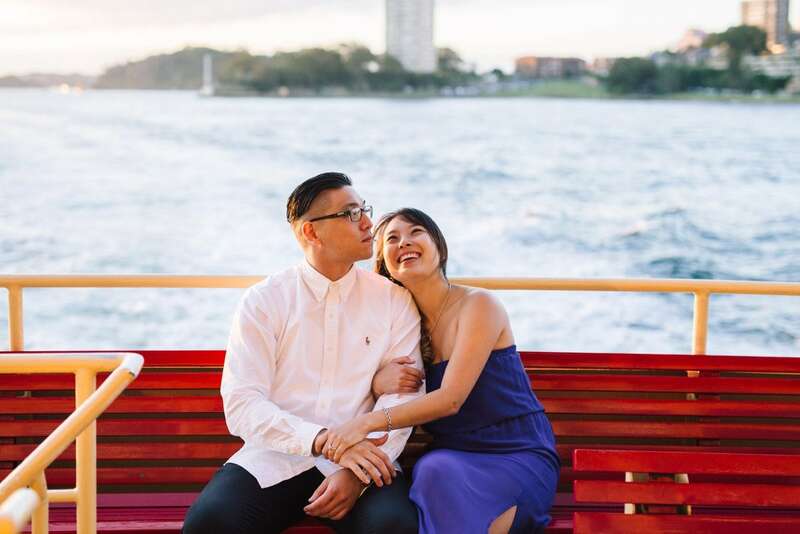 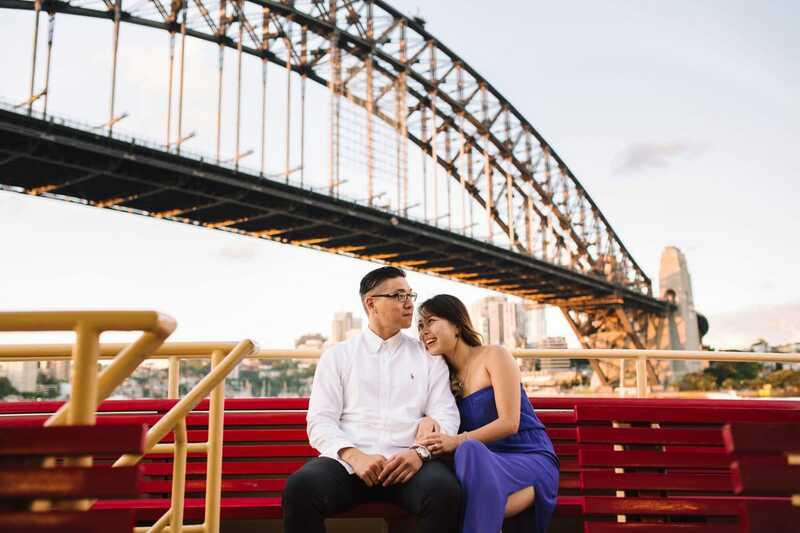 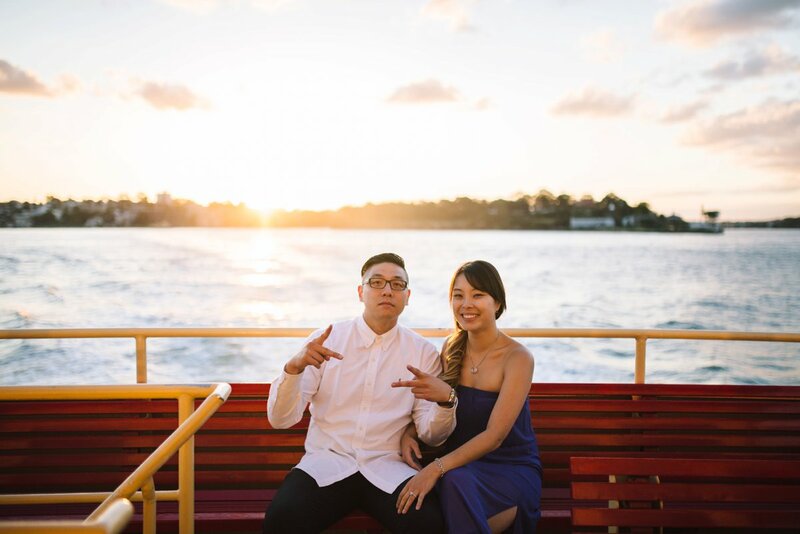 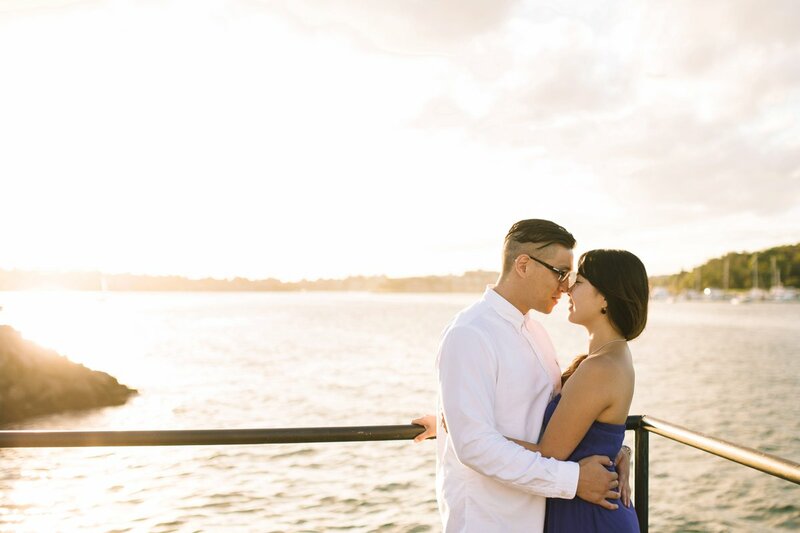 They had wanted to capture a little bit of a different view of Sydney, and I had suggested checking out Cockatoo Island for their engagement session. 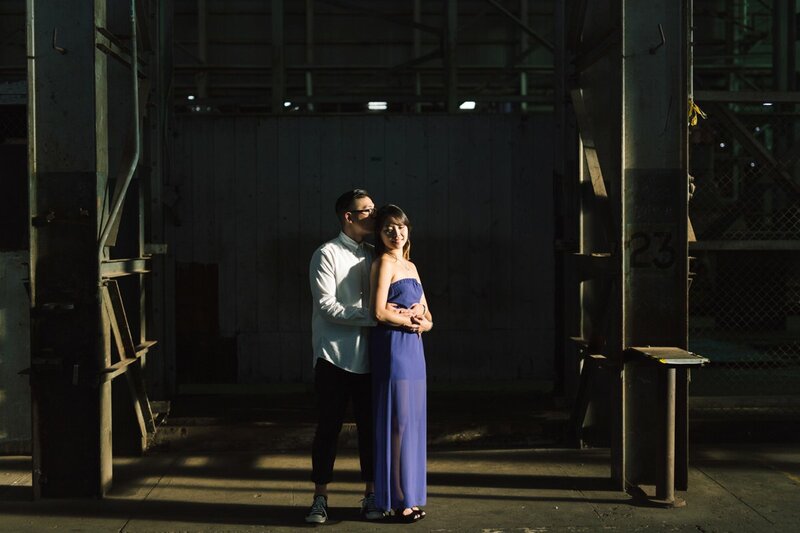 I love heading over to the island for a shoot, it is always so cool to explore some new little areas and see how the light is hitting all of my favourite locations differently. 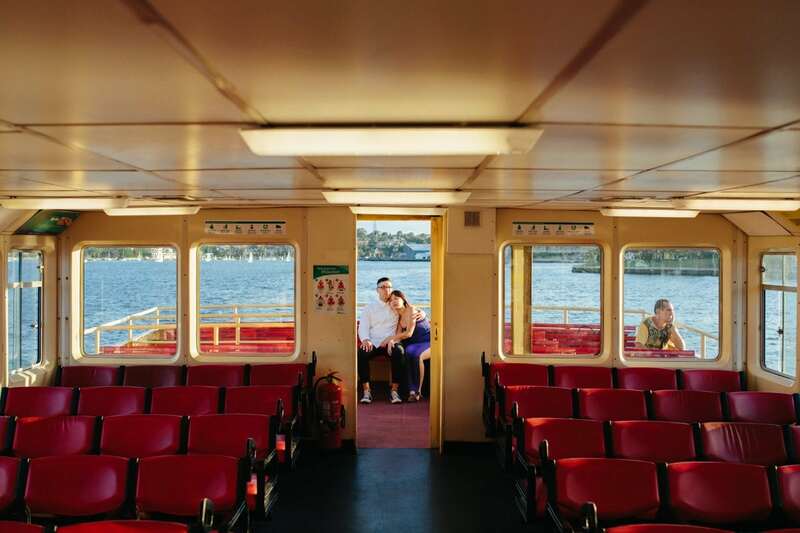 After catching the ferry over to Cockatoo Island, we grabbed a drink at the bar before heading through the Industrial Precinct and out to the Shipyards. 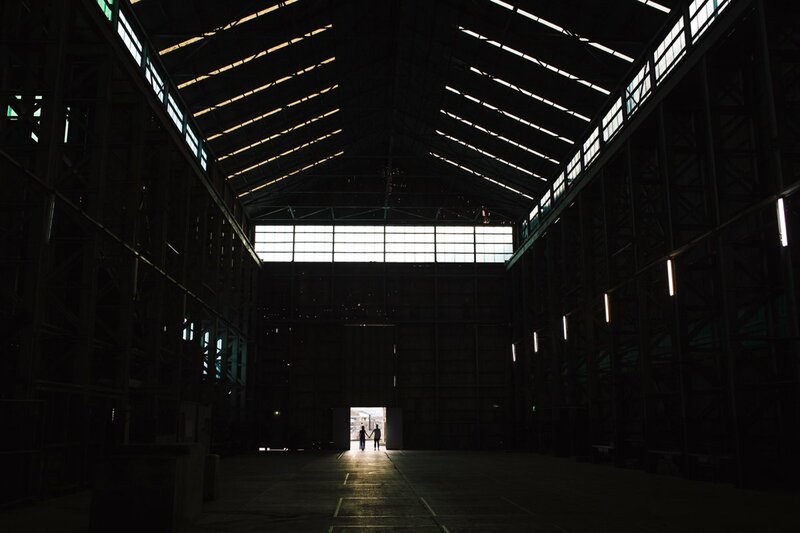 The industrial look and feel of Cockatoo Island is forever changing, especially throughout the year as the seasons and light changes. 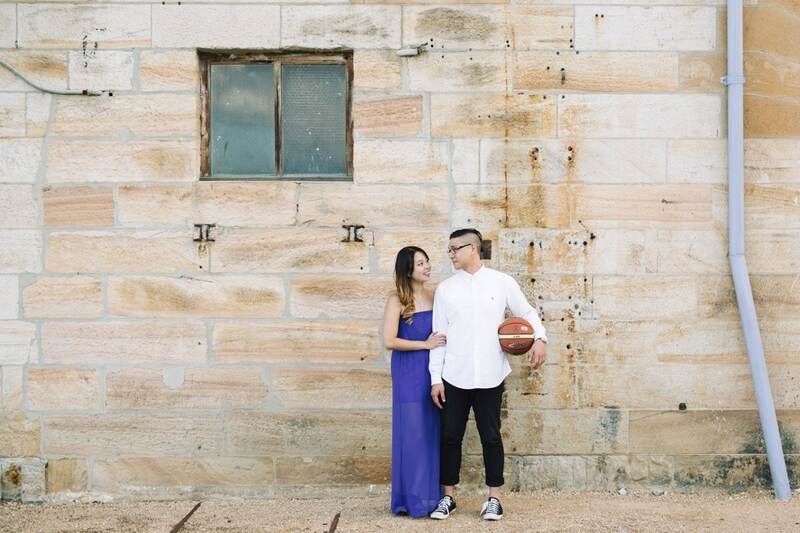 It turned out they also had a basketball court on the main foreshore of the island, and Pauline & Dru are both mad about their basketball. 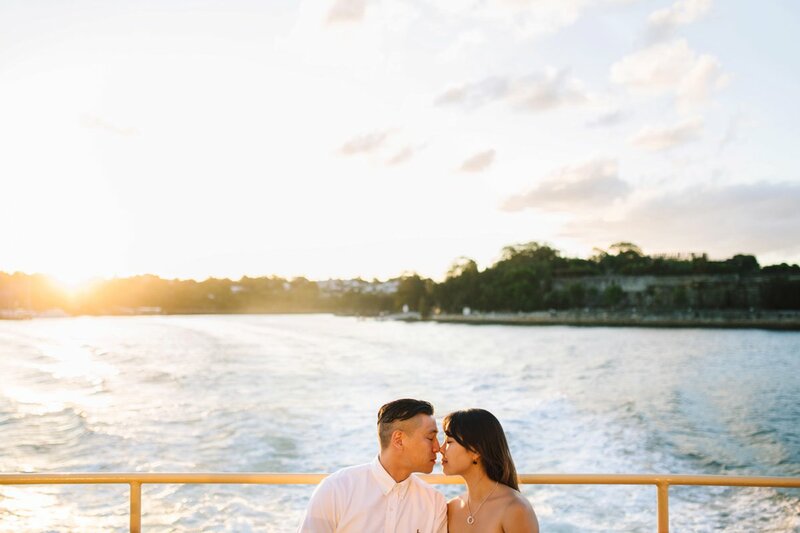 They laced up and shot some hoops together, we had a bit of fun before rushing over to catch the ferry back as the sun started to set. 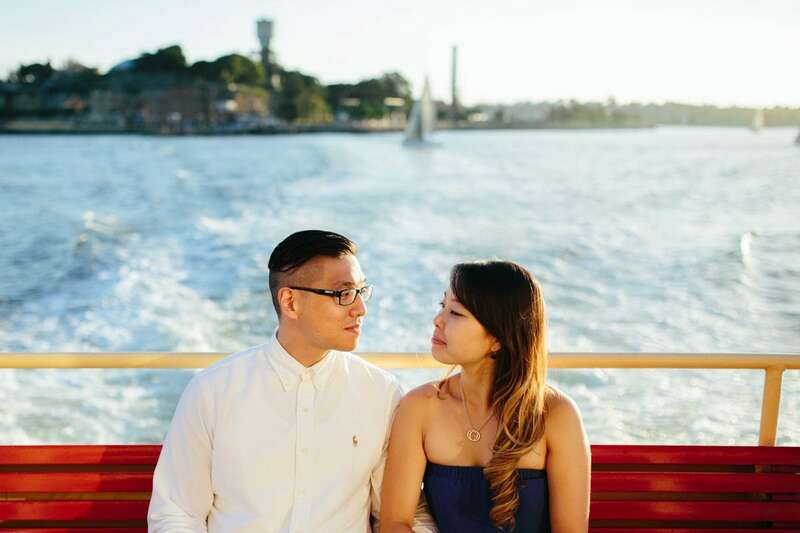 What better way to enjoy a summer afternoon in the sun, than showing two lovely people one of my favourite spots in Sydney.